When you send an important email in Outlook 2013, it can be nerve-wracking to wait for a reply. You might even start to wonder if the person has even received your message, let alone opened it. One way that you can reduce some of this uncertainty is by sending a read receipt with your message. 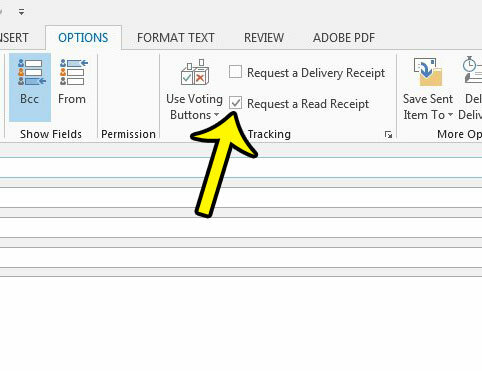 This is a tracking mechanism in Outlook that will alert you when the person has opened the message and returned the receipt. 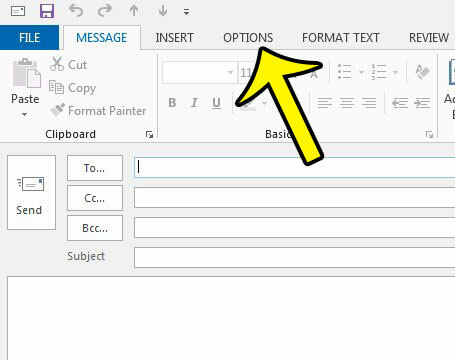 Our guide below will show you the option that you need to select in order to send a read receipt with your email in Outlook 2013. It is something that you can elect to do with any message that you send with Outlook. The steps in the article below will show you how to include a read receipt with an email that you send from Outlook 2013. It will not change the settings in Outlook so that you send a read receipt with every message automatically. You can, however, adjust the default read receipt settings in Outlook 2013 both for messages that you send, and for read receipts that you receive. Note that it is entirely at the discretion of the email recipient whether they choose to send the read receipt back. In fact, some email hosts will disregard read receipts entirely. Read receipts can be helpful in some situations, but they are not a very reliable indicator of whether someone has read your message or not. 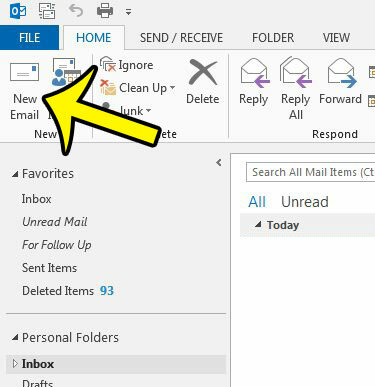 Click the New Email button in the New section of the ribbon. Click the Options tab at the top of the window. Check the box to the left of Request a Read Receipt in the Tracking section of the ribbon. You can then go about sending your email as normal. Does it seem like you are getting your emails in Outlook much later than you should be? You can adjust the send and receive settings in Outlook 2013, which will tell the program to check your mail server more frequently.